Mobile app development is hot right now and the need for skilled developers is only going to increase over time. This arena requires a mind shift for most traditional desktop and web-based developers. For those of us who have developed enterprise-wide applications, our natural tendency is to leave no stone unturned, by ensuring the application is fully configurable, feature-rich, and leaves the user wanting for nothing more outside of the product suite. This isn’t the case for mobile applications. In fact, developers need to learn to narrow the scope as much as possible, integrate with the device capabilities when it makes sense, and learn to leverage other APIs that could simplify the development and usability of the application. Mobile applications cannot be complicated or complex. Users want to be able to launch an app and just know how to use it within a few seconds. Otherwise, the user becomes frustrated, the app is then uninstalled and, more often than not, the app receives a poor star rating in the app store, thus deterring other users from downloading the app. Even if your app is free to download, other users will steer clear when the app rating is low. For these reasons, I have taken steps to ensure that our local area .NET User Group members have the opportunity to upgrade their skills. With the help of our dedicated group of volunteers and amazing sponsors, I have planned, organized, and successfully hosted mobile app development workshops a handful of times over the past year. In fact, we have another one coming up in February. Our workshops target Windows 8 and Windows Phone, of course. The workshops have filled to capacity each time and the vibe at the end of the day has been positive, with members walking away not only feeling equipped with the technical skills to develop applications for tablets and Windows Phone devices, but also with the insight on how to change their way of thinking to develop the right mobile app – an app that is useful to those that download it. This is all thanks to the skilled developer evangelists that teach at our workshops. They not only cover how to use the technology to develop for mobile devices, but also give ideas to our workshop attendees on how to narrow the scope of their intended applications. I’ve learned a lot from being part of these workshops, and I see the value in continuing to provide these types of events to our user group members. 1) Ensure that your skills are marketable. Mobile application developer is listed as one of the 6 hot IT Jobs in 2013 on Payscale.com. That’s definitely something worth thinking about. 2) Build your own portfolio of mobile apps to demonstrate your skills. There’s nothing more satisfying than being able to point to a set of apps that you developed to prove your technical savvy. 3) The potential to earn some extra money. Yes, this area is hit-or-miss and is never a guarantee. But you never know if an app idea you have may generate enough interest that could, in turn, generate money in your pocket. There are multiple ways to monetize an app. Attend a workshop to learn about them. You will be able to ask the experts what their thoughts are on this, and what they’ve learned from experience. 1) Surface tablets and Windows Phone devices are increasing in popularity. An article posted on The Next Web reports that sales of Nokia Lumia devices have exceeded expectations. Also, the number of apps being pushed to the Windows Phone App Store has shown an increase leading up to the holidays, as mentioned in an article posted on PC World’s web site. 3) Microsoft's Developer Movement offers Canadian developers the chance to earn points in exchange for rewards for each Windows 8 and Windows Phone 8 app that they publish. 4) Nokia is running a developer challenge where developers can earn badges and points for completing Windows Phone app development challenges. Those points can be exchanged for prizes. 5) Atley Hunter is also running a contest that give Canadian Windows Phone developers the opportunity to earn a shiny new Nokia Lumia 800. The first 5 Canadian Window Phone developers to publish 5 quality apps in the Windows Phone store after January 1st, 2013 will get a new device. 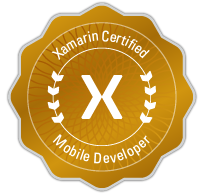 There are so many great reasons to learn mobile app development, and added bonuses to target both Windows 8 and Windows Phone. So what are you waiting for?